The next Friends of Music recital will feature Gustavo Romero on August 8. 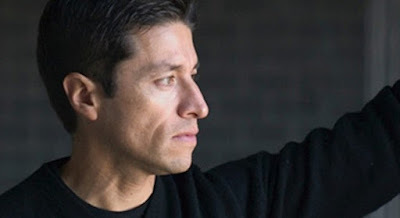 Mexican-American pianist Gustavo Romero has a stellar reputation for both the technical brilliance and interpretive depth of his playing, as well as his commitment to in-depth exploration of individual composers. He is a native of San Diego with heritage in Guadalajara, Mexico. He discovered his love and gift for the piano at the age of five and gave his first public performances at the age of 10. At 13, he performed with the New York Philharmonic under Zubin Mehta. His exceptional talent was recognised, and at the age of 14 he attended the Juilliard School. In the 2017/18 season, Romero focuses on the piano works of Enrique Granados. He is a Professor of Piano at the University of North Texas. Past seasons have taken him to France, England, Germany, Italy, Switzerland, Spain, Russia, the Czech Republic, China, Korea, Taiwan, Singapore, Japan, Thailand, Hong Kong, South Africa, Argentina, New Zealand, Canada, Norway, Austria, Bulgaria, Mexico and all across the United States. His programme will include Federico Mompou’s Paisajes (Landscapes); Domenico Scarlatti’s 5 Sonatas; Enrique Granados’s Goyescas and Isaac Albéniz’s El Puerto and Seguidillas. The second part of the programme will be Modest Mussorgsky’s Pictures at an Exhibition. The Prelude Performer for the evening is Irene Seo Hyun (violin) who is a student at Maris Stella Girls School. She recently passed the Grade 4 Royal School of Music Grade 4 exam for violin with distinction. Her teacher is Isaac Melamed and she is also doing grade 5 on piano. Accompanied by Dana Hadjiev, she will perform Arcangelo Corelli’s Sonata in A. The recital takes place at 19h30 on August 8 at the Durban Jewish Centre at 44 K.E. Masinga (Old Fort) Road in Durban. Tickets R100 (FOM members R80; orchestral members & students R20) at the door.